Attention : Coming Soon Brand New Site! We've been overwhelmed with raw food plan orders plus coaching. We are working on completing a special new website (together with an update renovation of this one) and hope to launch summer 2015. Thank you for your patience and continued support. Local: Click HERE to get info on our fresh made raw food meal plan. 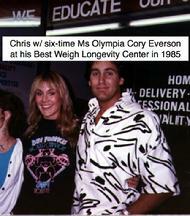 The Best Weigh Longevity Center. local health food stores, natural doctors and wellness centers. 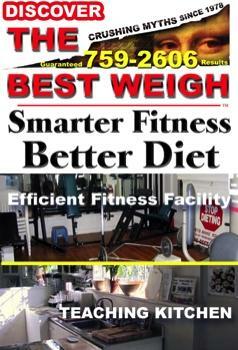 Long Island's first and only raw wellness center. The Best Weigh Center For Ultimate Health & disease reversal is a uniquely equipped human performance food & fitness facility specializing in the most efficient way to achieve genuine wellness & efficient fitness. You get the best raw vegan food classes in our pupose-built raw food teaching kitchen, the most practical wellness seminars, raw food plans, and fitness training programs for healthy raw muscle, strength, cardiovascular and flexibility without wasting excess time and effort. Never suffer from colds or flu again. 1) Preventing & reversing chronic disease suffering. 2) Building Muscle for the genetically typical trainee. Chris' Best Weigh training facility in Glen Cove features many pieces of equipment designed especially to protect and strengthen weak lower backs & other joint systems. longer limbs, poor leverages or other injuries that prevent you from getting safe but productive results can be remedied here. Discover how to increase your endurance 300%! Obtaining Top Level Cardiovascular Endurance is very easy on this diet! (Gaining Flexibility too). But Strength & Muscle Building are the True Leaders of the Four Components of Physical Fitness. But the least performed. And the least performed correctly. Chronic suffering results from poor lifestyle and subsequent dangerous drug taking. Discover how to eliminate suffering! Don't become a helpess victim of the medical system. RESULTS ARE TYPICAL and spectacular compared to all other "health modalities". We have powerful proof. You can share what you learn & experience and literally save lives. Certified P.F.S., wellness expert, 25-year vegan raw bodybuilding coach plus ten-year raw food chef Chris has been teaching, consulting and facilitating a delicious evidence-based raw food lifestyle a decade before it became popular in New York. His food has been heralded as equal or superior to New York's premier raw eateries, but with balanced nutrition and fresh soul-food style. His RawSkilz class & Best Weigh wellness program saves people thousands of dollars, plus time and travel to raw wellness centers. THE BEST WEIGH offers all that is necessary to go raw & achieve your best health. Plus the most efficient strength, cardiovascular and flexibility program since 1978! Watch some of Chris' video clips! More videos and more detailed advice coming soon. Stay tuned and sign the roster below! 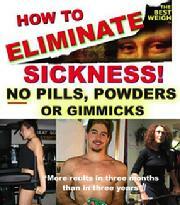 (Chris refrains from marketing any mail order raw food products, gimmicks, pills or powders. Nor will your email or information be sold, shared, or rented to any other raw food sites or any other organization. A proper raw food diet should taste amazing. But the results should be even better. Click here for classes, coaching & more. ALL NEW to be released soon! How did you find thefirstsupper? Attention! Special Bonus for NY Times subscribers! If you found us through the Sunday NYT article, you may be invited to a very special Best Weigh Raw Event at our Glen Cove Location Teaching Kitchen and Longevity Fitness Facility! Usually a cost of $50, the first 25 people will attend free! 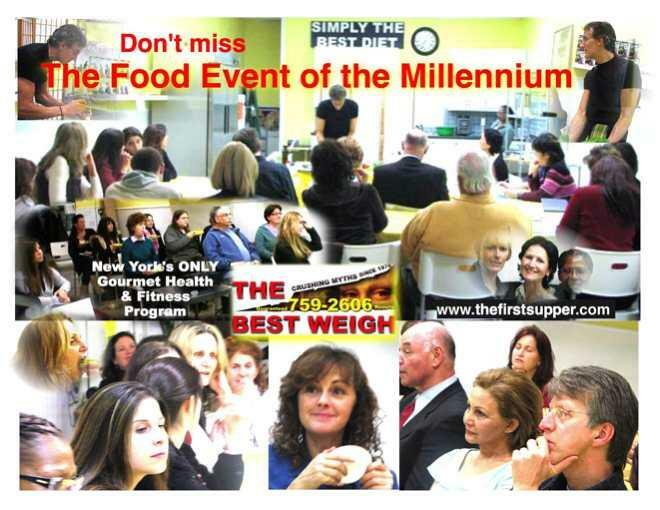 The most significant and scientific life-changing event on Long Island for the last ten years includes a short lecture by Chris Califano, PFS, founder of The Best Weigh plus a tasting of food that you will never forget. To become eligible, simply fill out the newsletter form next to the raw lasagna below AND click here to email Chris personally and tell him why you want to try raw. You must sign up (no obligation) for our original content newsletter plus email Chris! If the taste doesn't blow you away, the wellness will. Not just raw, BEST WEIGH RAW! The best blend of taste and nutrition you ever had! The biggest and best kept Raw Secret in the world is that the true doctor of the future is the chef of the future. The First Supper classes and initial food plan create seamless integration. The seemingly daunting science and facilitation of raw food wellness is now easy. Breakfasts, lunches and dinners are so incredibly satisfying that you never have any cravings. Our clients agree, it only takes a few days to start seeing and feeling significant health results that will bewilder doctors, baffle nutritionists and make natural doctors want to become raw chefs and throw out their supplements. The health crisis solved. Our results are irrefutable. Not just incredibly delicious food, but un-matched wellness results! Chris started eating 95% raw in 1999 and have been a 100% "raw foodist" since 200. I share my food prep, wellness, nutrition and fitness experience with others in special classes, counseling, in-home and dinner parties. The myths associated with protein, calcium, vitamin content, organic, high fruit, greens, starchy vegetables, different percentages of carbohydrate/ protein/ fats and more are totally crushed, explained and solved in a timely and practical manner when I get started. I can't help but smash myths! They are so weak, academically, historically and practically! Nobody can argue with results, and I have devoted the last three decades to enlightening those who are ready to leave the dark cave of brainwashing and experience the essence of raw wellness, efficient fitness and nutritionally sustainable environmental excellence! This is achieved by education, inspiration, but most importantly- the food must be eaten every single day. No matter how much people go to lectures, read books, follow "gurus" etc, it all comes down to the food. Talk is cheap. It is the food that does the job. I urge you to try my food plan, have a dinner party prepared by myself and my team, attend classes and you will see that this is clearly the solution to any health crisis. Chris is Best Weigh creator and founder of The First Supper. He built his genetically poor body up from a skin and bone 133 lb. frame at six ft. tall against all odds including a debilitating auto crash. 35 years of trial and error taught him practical fitness. Physiological cornerstones such as Specificity, Overload, Progression and Regularity, for example, are hardly ever mentioned in any best-selling fitness books or popular health and fitness magazines. It's the same with nutrition "education". Chris corrects the myths and shares with you the genuine legends. More importantly, he does not just talk. He facilitates. Like and enzyme he WORKS. Imagine Chris' glee when The China Study was published, the story behind The China Project headed by the world's most accomplished and honest food scientist, T. Colin Campbell. He was ecstatic since he had been hailing his incredible work for decades and teaching it in a practical sense as the rest of his community ignored with skepticism as they got sicker and sicker. 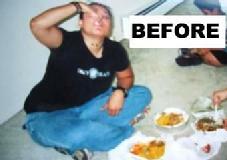 Of course, they could not deny the incredible health results that Chris' clients were getting... Fast forward to raw. Compared to simply plant-based nutrition, which is universally accepted as a major prerequisite for basic human health, fresh whole raw plant-based foods will bring you to true wellness and performance that is so significant that you can measure it in bushels. Unlike the pitifully tiny results in lowering cholesterol that drugs or supplements achieve, for example, this diet lowers cholesterol in most cases significantly more. Not to mention that all drugs have dangerous side effects (aka poisoning) and create worse problems than they "treat". For 35 years, Chris has been demonstrating that drugs are poison, supplements are useless, and the best way to health is by self healing. His Best Weigh Center For Ultimate Health actually facilitates this, the most important life process. "Health Talk" is one thing. Creating food that facilitates genuine health is another. 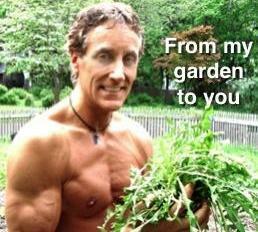 Ten-year raw, 25 year-vegan, 35-year fitness specialist CHRIS CALIFANO gets clearly significant WELLNESS RESULTS. He easily crushes fitness fallacies, medical myths, nutrition nonsense and diet dogma with his educational and professional TV-style UN-COOKING CLASSES & WELLNESS SEMINARS. Zero transitional cravings on THE BEST WEIGH FOOD PLAN! WHAT IT REALLY MEANS TO BE GREEN! Nothing can compare to the huge environmental & energy savings of raw food! 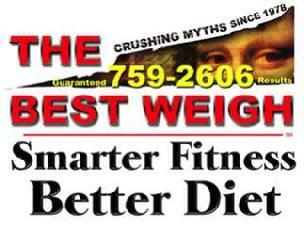 All of the above and more are solved at The First Supper Best Weigh Raw Classes. Chris' ten year 100% raw foodist experience and 30 years as a pure vegan, plus over 30 years experience as a trainer and certified Physical Fitness Specialist gives you solid and rounded guidance on "going raw" with confidence. The grand re-opening of THE BEST WEIGH Center for Ultimate Health is coming soon after months of complete renovation and expansion! if you live locally and would like to be sent an invitation to this ground-breaking event, please go to the FACTS and GETTING STARTED PAGE and send an email with your name and address! Chris has facilitated and achieved what most only dream about- 100% perfect health AND amazing taste, texture and variety. How did he do it? For 30 years he has worked in the trenches of professional fitness, bodybuilding, and nutrition, owning three of his own fitness and wellness centers since 1985, and training others since 1978. Chris' program of EDUCATION, MOTIVATION, and most importantly, FACILITATION goes far beyond the popular call of duty. His seminars, workshops and private in-home or in-institution FOOD EVENTS OF THE MILLENNIUM (Trademarked) have helped hundreds of people change their lives positively more than any other method. Before the phrase "life-coach" was even part of the vernacular, he was taking people of all ages and health histories and showing them how to heal themselves with PROPER food and PROPER fitness. He has discovered that the secret is in the food-- but not just in KNOWING but in having it every day. That is why is the first on Long Island to put in the tremendous effort and time to make sure that his clients can eat the best way every day! Automatic Behavior Modification- no psychiatrist needed! THE BEST RESULTS ARE BUILT IN TO YOUR DIET! Shown above: Chris' special 100% RAW burger (Even the pictures he uses for this site are all his own creations that he made and photographed himself. He does things right- from scratch and from the bottom up! Note: Most people think that they need to alter their thoughts to help them lose weight, or eliminate food cravings, for example. Sometimes psychological counseling may be indicated, but only very rarely! The BEST way is to enjoy AUTOMATIC APPETITE Suppression and automatic elimination of cravings by simply changing your diet to The Best Weigh Raw Diet. It works every time. Results are 100% typical, even for those who are meat eaters or heavy cooked food or junk eaters. How can this be? Simple! The chemical changes that caused cravings in your brain to begin with are altered most significantly and positively NOT by outside counseling, but mostly by INNER dopamine corrections which are the automatic and NATURAL RESULT of the proper diet for the first time in a person's life. Few have ever tried a raw diet long enough for this to happen, but with THE BEST WEIGH RAW diet, it is virtually guaranteed. The PROGRAM THAT reverses chronic disease better, safer and more deliciously than any other method! We respectfully challenge nutritionists, natural doctors and dietitians to get results this significant. We successfully quench desire by satisfying even the most severe food cravings while delivering health benefits beyond programs costing a hundred times more! How do we do it? 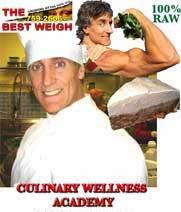 CHRIS CALIFANO has mastered the raw wellness health field as chef, educator, fitness specialist with over 30 years of food and fitness teaching experience. He has become a walking encyclopedia of practical not extraneous wisdom. 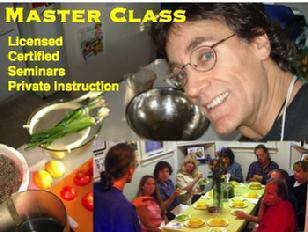 He takes the time to take you step by step into the forgotten world of REAL food and REAL health. See and feel for yourself! You can not argue with results that you can feel! No more suffering from cold and flu symptoms. No more need to "control" your weight. No more need for vitamin pills. No more restless sleep. No more fear of cancer, heart disease, diabetes and all chronic diseases!Delicious REAL food - no pills, powders or gimmicks. 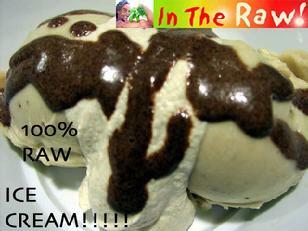 Taste the food and you will not believe that it is raw vegan. All experts agree that the secret to genuine health is to get people to LOVE eating right. Look no further. The proof is in the pudding. 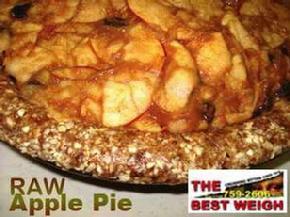 And the raw vegan cheez cake, crackers, "rice", "pasta", "burgers" , "meatloaf" , "stroganoff" , and all the other truly rawgasmic meals that Chris has mastered and that you will discover! His Best Weigh Food Success Program accomplishes what every expert talks about but none have achieved: HE HAS BROKEN THE DIET CODE by finally joining perfect health with perfect taste! The Best Weigh Center For Ultimate Health, founded by CHRIS CALIFANO has been teaching people how to eat and exercise the best way since 1978. You can enjoy professional educational CLASSES, SEMINARS, LECTURES, WORKSHOPS, a teaching kitchen, an EFFICIENT HUMAN PERFORMANCE FITNESS FACILITY, educational counseling by The First Supper Raw Team and more. The Glen Cove location (since 1989) has become the serious raw wellness Mecca for Long Islanders, New Yorkers and others who want to avoid the time and expense of traveling to raw schools, retreats and wellness centers and spas. For a fraction of the cost they enjoy the most important and significant body, mind, soul and life improvements right here at The Best Weigh Center for Ultimate Health. For detailed information and updates, upcoming class schedule, life-food plans, and more, please go to FACTS AND GET STARTED. CALL (516) 759-2606 TO RESERVE YOUR SPOT! Real Food Beats them every time. 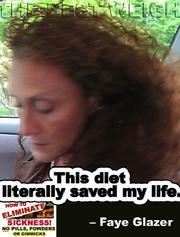 "I lost more fluff in twelve weeks than in three years...with zero cooked food cravings! I was not even vegan! That's my before pic below!" "LOST 20 LBS EFFORTLESSLY IN TWELVE WEEKS"
"I GOT SUPER HEALTHY NOT JUST THINNER"
ON OTHER DIETS or FITNESS PLANS." Food Event March 2008 was rawesomet! 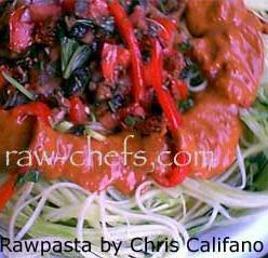 "Chef Chris' raw food dishes are unique among the raw food I've tasted. They are just like "real' food- there is nothing 'strange' or 'different' about them. You feel totally at home in your heart when you eat them" - Matthew E.
The best way to get started is to attend our special class. It is the most valuable two days that you will ever enjoy. I wish I had a class like this when I first started "going raw". It would have saved me at least five years of hardship. The Best Way To Go Raw! Join others in the best sensory wellness experience on the east coast. 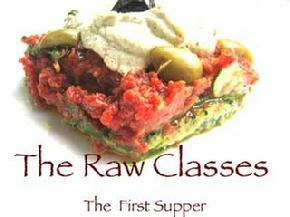 The best way to go raw for anyone who is ready is to be wowed by every dish in an entertaining, educational setting. 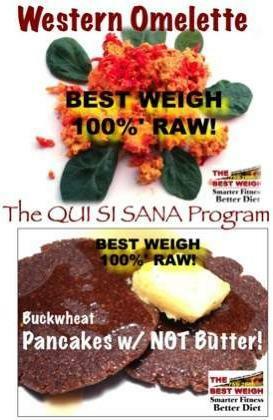 Once you taste these foods, you will not believe that this is raw! For the first time in your life you will say to yourself "Why don't they teach this stuff in school? It is amazing!" Check out our testimonials to see what others say about our classes.